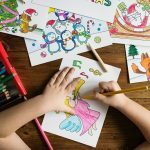 With summer coming to a close and fall quickly approaching, many parents begin to wonder, “Is my toddler ready for preschool?” and “How do I even prepare my toddler for preschool?” Although starting preschool marks the beginning of a new and exciting chapter in your toddler’s development, it is still a significant change for the both of you. This can make the prospect of preschool altogether daunting and intimidating, but it doesn’t have to be! Chances are, you’re probably more prepared than you think. Set a date for you and your toddler to meet the teacher and visit the preschool. Introductions will help to familiarize your child with the teacher, as well as with the school. Give him time to check out the place and explore—this way on the big day he will feel a little more comfortable in the environment. This is also a great time for you to find out any important information and ask any questions you have. Explain any issues or concerns you may be having, inform her about any relevant allergies or medications, and ask for tips on ensuring the smoothest possible transition into preschool. Toddlers learn best when routines are established, and daily schedules are followed. As your toddler gets closer to attending preschool, having a consistent schedule will play a big role in ensuring a smooth transition. Routines provide a great chance to bond and connect with your toddler. Start by implementing a simple morning and night routine if you haven’t yet done so. An example, for a night routine includes: bathing, brushing their teeth, putting on pajamas, reading a bedtime story, and going to sleep at a reasonable hour. Fine-tune a schedule that works best for you and your toddler and make it fun. Playdates are a great way to teach your toddler how to interact with other children, learn how to take-turns, listen, and share. Prior to starting preschool, you should ensure that your toddler has a basic understanding of these skills and has been exposed to playing with other children. If possible, ask the teacher for the class list when you visit or find out how you can make your email or phone number available to other parents. By connecting with parents and finding other children in the same class, you can set up playdates or other beneficial interactions for your child. 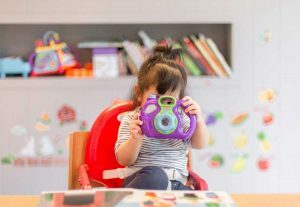 Providing your toddler with not only opportunities to engage and make friends, but also a friendly face to look to who’s in the same class can be instrumental in easing their nerves or separation anxiety. The benefits of reading out loud to your child every day are endless—developing their knowledge, comprehension, understanding of the world, and more. As the start date of preschool grows nearer, try to pick out books that revolve around other preschool students. This is a great way to help gauge their reaction and make them excited to learn. Ask questions about what they read and how they’re feeling and continue to use reading as a tool to aid in learning lessons about empathy and friendship. Preschoolers learn through hands-on activities that foster their creativity and expand their mind. Likewise, the best way to get to know Children’s Campus of Greenville is to experience us first hand. We invite you and your child to come in for a personal tour and experience the loving, nurturing environment we have created. Contact us today at 252-756-8200 to learn more!